The second The Walking Dead compendium is a weighty volume, coming in at 1068 pages, which equals 48 more issues of graphic novelly goodness. If reading the first compendium taught me to expect the unexpected when it came to how closely the comics and the TV show are related, reading the second was a completely blind experience – as I mentioned in my previous review, the events of the first 48 issues takes us approximately to the same point in the story as last December’s episode 408 (the mid-season finale – see my review here), so the next set takes the story in unanticipated directions. If you’re a fan of the TV series, and don’t want to read any possible spoilers of the upcoming second half of season four, don’t click through; to everyone else, read more after the break. 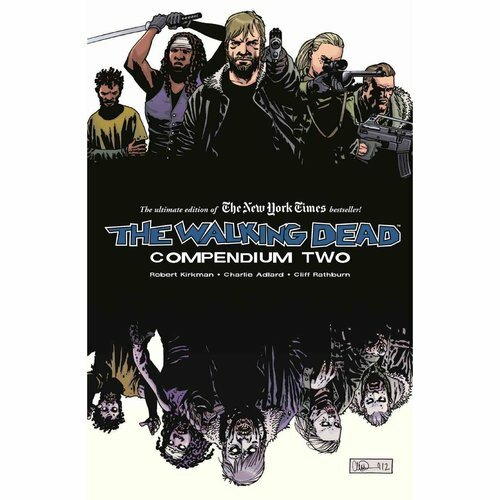 Spoiler Alert: This review will briefly discuss plot points from the AMC television series The Walking Dead, as well as discussing The Walking Dead: Compendium Two graphic novel at greater length. Read more after the break…if you dare. Now that Coulson’s back with the team, albeit full of existential questions that have not yet been adequately answered, it’s time to…go to S.H.I.E.L.D. Academy? The location could provide for some interesting storylines, and potential ally/enemy relationships for future episodes, but seeing Coulson talking to Skye about her parents has me worried going in: is this going to be a return to the Mary Sue of old? Click after the break to find out. After a four week break, Agents of S.H.I.E.L.D. picks up the second half of the season, looking to answer a few questions about Coulson – not only where he’s being held by Centipede, but what happened to him when he died. The title of the episode, “The Magical Place,” promises much. But where, exactly, is Tahiti? With AMC’s The Walking Dead on mid-season hiatus over the holidays, I thought it might be a good time to finally read the graphic novel that started the whole thing. I picked up The Walking Dead Compendium One some time ago, and I’ve just finished reading it. It comprises the first forty-eight issues of the series, accounting for the 2003-2007 starting run, which story-wise takes us to about the same point the television series has reached after three-and-a-half seasons. I’ve always loved comics and graphic novels, but I don’t for a second pretend to be an expert. Rather than reviewing this compendium on its merits solely as a piece of art, I will be looking at the similarities and differences between it and the AMC series, as well as talking about my experience of reading through the entire forty-eight issues. 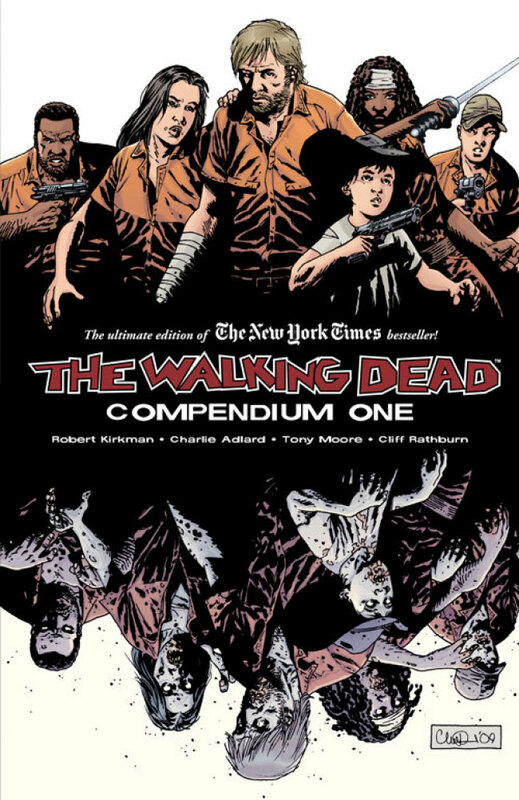 Spoiler Alert: This review will be discussing plot points from both the AMC television series The Walking Dead, as well as The Walking Dead: Compendium One graphic novel. Read more after the break…if you dare.